Our team of Global Automotive Desk experts provide industry-leading, results-based expertise to manufacturers and suppliers through a platform of comprehensive advisory services and customized solutions, designed to create long-term value for our clients. We understand the automotive industry’s unique operational needs and real estate considerations, delivering solutions that create competitive advantage, streamline operations, decrease overhead and increase returns—solving for manufacturing, supply chain and distribution, and research and development challenges. Our integrated approach encompasses all aspects of the auto industry, from lease administration, transaction management and portfolio optimization consulting, to strategic planning and site selection, M&A integration and asset monetization. Whether your goals include one location or a multi-market global portfolio, we’ll manage your business as if it were ours, putting you in the driver’s seat. Patrich Jett, MCR, SIOR, LEED AP with Colliers International is the market leader for high-profile real estate transactions including new construction projects, both locally in Greater Detroit / Ann Arbor and also abroad for global clients including the automotive sector. 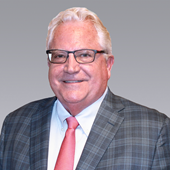 Patrich works with a team of real estate professionals consisting of Randy Book, Julie Gitary, Todd Griffin, and Anita Guajardo; along with the Colliers platform of over 16,000 professionals, in over 500 office, in over 60 countries. Together they represent corporate clients to implement their real estate objectives with a focus on corporate tenant representation. His team focuses on multi-market: Corporate Tenant Representation; Site Selection and Incentives; Evaluation of Lease Options/Lease Restructuring; Portfolio Management/Optimization; Project Feasibility Studies; Built-to-Suit Projects; Project Management; Workplace Strategy; Institutional Investment Acquisitions; M&A Services and Sale-Leasebacks. Patrich has a background and education in finance, previously working as an executive banker and as a corporate tenant adviser at Grubb & Ellis prior to joining Colliers International. This experience has provided him a distinctive edge in understanding his client’s real estate needs. Patrich has represented several million square feet of multi-market corporate and institutional investment real estate transactions that have resulted in thousands of local high-tech and manufacturing jobs and millions in capital investment. His strict attention to detail translates into significant savings of time and money, mitigation of risk, and increased flexibility for our clients. He enjoys working on challenging projects that require creative thinking and problem solving to achieve a successful outcome. 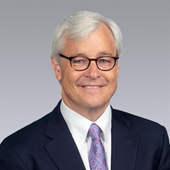 In 2011, Patrich established the Automotive Solutions Group within Colliers International after completing a number of substantial transactions related to the automotive industry. 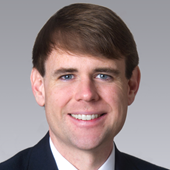 He has become the “go to” subject matter expert at Colliers International for global automotive real estate as demonstrated on his team’s client roster. Patrich then served as President of the Michigan Chapter of CoreNet Global in 2014. He used his strong local relationships to build an accomplished Board and to protect and grow the Chapter’s finances while increasing membership on the heels of the economic downturn. He was awarded national/global recognition in 2015 on CoreNet Global’s “36 Under 36: Up-and-Coming Young Leaders”. In 2016 Colliers International awarded Patrich and his team numerous awards including the: Everest Award as a Top 5 Broker in Detroit/Ann Arbor; Top Office Transaction; Top Retail Transaction; and Top Outgoing Referral. Patrich lives in Ann Arbor, Michigan with his family Tracy, Mason (12), Connor (11), and Maya (11) and two dogs Winston and Rocco. He enjoys traveling, long distance running, and wine. Patrich also donates his time to various charities and organizations. Feel free to contact him at 734.660.0763 or patrich.jett@colliers.com to introduce yourself or to discuss a project. 13 years of overall experience, the last 7 years in EMEA. My career has been entirely focused on Occupier services moving from Transaction Management to Corporate Solutions. As National Director of Colliers Industrial Services-USA, my role is to strengthen Colliers platform and to collaborate with other key service lines ― Corporate Solutions, Investment Services, Occupier Services Groups, Logistics and Transportation Group ― to deliver a deep bench of logistics and site selection strategies to industrial user-groups and participants in the logistics, transportation and distribution industries. I consider my stand-out strengths to be my commitment to understand corporations’ broader goals and challenges and then assembling a team of high-octane professionals to drive smart solutions to achieve those goals. During my 30 years in the industry, I have provided consulting and transactional representation for numerous Fortune 500 companies. 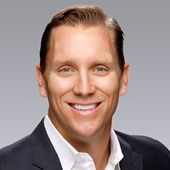 Prior to Colliers, I was a co-founder of Summit Realty Group, an affiliate of Cushman & Wakefield. I then transitioned to join C&W’s Industrial leadership team as Executive Managing Director, Global Supply Chain Solutions and Industrial Operations. I also served on its Global Supply Chain Solutions Group and was appointed to its Industrial Executive Board. Early in my career, I enjoyed the developer side, serving as Vice President at Eaton & Lauth Commercial (now Lauth Group). Notable industry acknowledgements include: SIOR Largest Industrial Deal in the U.S., First Industrial Largest Deal, and Hall of Fame inductee of Midwest Real Estate News. I am actively involved in my alma mater, Purdue University, where I was a starting offensive lineman for its football team from 1978-1981 and team captain in 1979 and 1980. I was voted to Purdue’s 100-Year All Time Football team and am in my 26th season as Football Color Analyst on the Purdue Sports Radio Network. Warwick Johnston is Head of Solutions Development, Corporate Solutions | Americas at Colliers International and is responsible for leadership of all aspects of Corporate Solutions business development and marketing. Corporate Solutions houses the service lines that are typically offered to multi-market and/or multi-service Occupier Clients. These service lines include Strategy and Innovation (consulting and technology services and lease administration), Account Management, Solutions Development, Transaction Management, Project Management, and Facilities Management. As part of leading Solutions Development, Warwick also works actively with some clients to develop an in-depth understanding of their key business strategies, create a customized solution to meet their objectives and hand over to the deployment team for the execution of that strategy on an on-going basis. I lead the Supply Chain and Logistics Consulting team here at Colliers, which means I work to strategically support our clients in optimizing their networks as well as internal operations. My goal is to bridge the world of distribution with the world of real estate solutions, so that our clients can make informed decisions to maximize the utilization of their supply chain. With over 20 years of global manufacturing and supply chain experience as both as a senior executive in the corporate world, as well as owning a supply chain consulting practice and a third party logistics business, I have real world experience that brings unique perspective to the Colliers team. Previously held the positions of Vice-President for Honda Logistics (Komyo America), President of Smart Turn Logistics and President of Nextep-Miyama, Inc.
Rafael is a committed corporate industrial/logistics services specialist focused in representing Global corporations as well as institutional Real Estate companies for over 20 years. His experience in representing corporations in multiple markets throughout Mexico, that has allowed him to develop a high-level corporate real estate strategy for his clients. 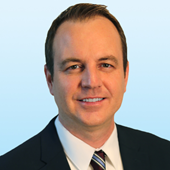 Graham is an active member of Colliers Logistics and Transportation Solutions Team. 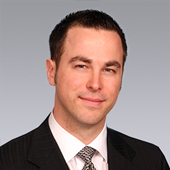 He has been with Colliers International for 20 years specializing in industrial leasing within the Toronto West market. Graham has a passion for industrial real estate and has established himself as a perennial top-performer nationally and as a reliable partner within his office, amongst his US colleagues and his long-term clients. Graham prides himself for his uncommon market knowledge. I am a Vice President with Colliers International | South Carolina in the Spartanburg office, specializing in the leasing, sales and development advisory services for industrial properties across the Greenville-Spartanburg-Anderson market. Along with my experience in both brokerage and development, I work with teammates and industrial professionals John Montgomery and Brockon Hall to provide clients a unique perspective to their real estate decisions. Our focus is not just on the transaction nor how real estate can save a client money, but also how it can make them money by capitalizing on the operational abilities that a building and location offers. This provides a clearer path to what is really important in a locational decision. With experience in both brokerage and development and a proven track record of providing innovative solutions to meet corporate objectives, I offer an advantage that clients seek out. 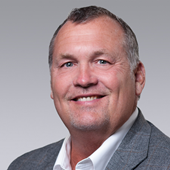 Paul McManus is a Senior Vice President and co-leads the Occupiers Services Group (OSG) in Silicon Valley. Paul started his commercial real estate career in 2006. His team exclusively specializes in assisting Silicon Valley Corporations (i.e. High-tech, Software, Internet, Professional Services, Law, Cleantech, etc.) with their Real Estate. His focus has enabled him to be involved in relocation and expansion projects, consolidations and dispositions, campus and headquarter planning, lease terminations and complete portfolio planning strategies. Paul is a native of the San Francisco Peninsula. He went to Serra High School and received his B.S. in business from San Diego State University. Paul has been at Colliers since 2007. Paul is actively involved in the St. Charles Parrish. Paul, his wife Ashley, and daughters Madison and Mackenzie live in San Carlos. 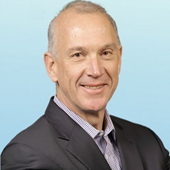 Leon Manoff is a Vice Chairman in Colliers International’s New York office. He represents major corporations as advisor and works with clients to design and execute real estate strategies that reduce risk, increase profitability, facilitate talent acquisition and retention, and incorporate a work environment that aligns with the company’s brand. He has assisted clients from across the industry spectrum, but specializes in real estate for the publishing and insurance sectors. over $200 million in lease and sales transactions across seven states. buildings and historic transactions and diligent analysis of financial and qualitative factors. This thorough and tech-savvy approach has enabled Tripp to solve challenging problems for the benefit of his clients and be an industry leader in his market. I specialize in creating innovative solutions and competitive advantages for my clients. I am a seasoned real estate professional and have a long history of successful transactions over 100,000 SF. I focus on cities and properties along the I-75 corridor in KY and OH. This area has become extremely vibrant and I’m proud to have contributed to its growth. Over the past 30 years, I’ve completed more than 325 transactions totaling more than 40 million SF and valued at over $400 million to date. Long-term clients include Delphi, Gap, W. P. Carey, and General Motors. I am a natural born connector and love negotiating on behalf of my clients. There’s nothing I like better than solving problems. I have a large network of real estate professionals that I am continually developing and expanding. I serve in leadership roles with SIOR (Society of Office & Industrial Realtors, an educational international association of 3,000 brokers, developers, and investors), and am members of the elite Colliers Logistics and Transportation Solutions Group, and CSCMP (Counsel of Supply Chain Management Professionals). As I tell my family and friends, everything comes down to logistics! I am known for my deep real estate knowledge of the Greater Cincinnati area, my persistence, representing my clients the way they want to be represented, and operating at all times with honesty and integrity.